Today we will be answering the question: What is the Difference Between Criminal Tax Penalties and Civil Tax Penalties? Just like it sounds. If you commit tax evasion or tax fraud, the IRS can prosecute you and send you to jail. Generally, most tax crimes carry a maximum five-year prison term and a fine of $100,000. 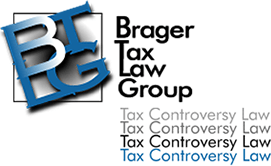 The same conduct which constitutes criminal tax fraud may also be considered civil tax fraud. It's up to the IRS whether it wants to impose criminal tax penalties, civil tax penalties, or both; civil tax fraud can't send you to jail. However, it can result in a penalty of 75% of the tax due, plus interest. A reminder: Just because criminal tax penalties are imposed, that doesn't mean that civil tax penalties won't also be imposed. In fact, in most criminal tax cases, a convicted defendant will be required to pay civil tax and penalties as well as criminal fines. While the conduct that supports both criminal tax penalties and civil tax penalties can be the same, the Internal Revenue Service is held to a different standard of proof. In a criminal tax case, the IRS must prove tax fraud "beyond reasonable doubt." To impose a civil tax fraud penalty, the IRS must only prove tax fraud by "clear and convincing evidence." These standards have been defined in slightly different ways by different courts over the years. Generally though, clear and convincing evidence is that level of proof, showing that a fact is "highly" or reasonably certain. This is more that a preponderance of the evidence, but less than beyond a reasonable doubt. Beyond a reasonable doubt is the highest standard of proof known to the law. It does not, however, require absolute certainty. A reasonable doubt is one which is not imaginary or frivolous. Tax fraud, both civil and criminal, requires the voluntary, intentional violation of a known legal duty. Let's unpack this a little. What does this all mean? First, you must have a legal duty to take a certain action. Most people are required by the law to file a tax return every year. That is a legal duty. However, if your income is below a certain cut-off amount, which for 2016 federal income tax returns was $10,350 for a single individual, then you have no legal duty to file a tax return and therefore you could not be said to have committed tax fraud or tax evasion. For there to be tax fraud though, it's not enough for the IRS to prove that you had a duty to file a tax return. It must also show that you "knew" you had a legal duty. There is an old expression that "ignorance of the law is no excuse." While that is true in certain circumstances, it is definitely not true in tax law. Ignorance of the law may be a complete defense to the conviction of tax fraud. The United States Supreme Court made that very clear in the criminal case of Cheek v. United States, 298 U.S. 192 (1991). John Cheek was a tax protester who failed to file tax returns from at least 1980 through 1986. The IRS put him on trail for tax evasion. Cheek represented himself at trail and explained his belief that income taxes could not be imposed upon him because he didn't believe his wages were taxable. He was convicted by a jury of several counts of willfully failing to file a tax return and willfully attempting to evade tax. The Supreme Court held that it was error for the judge not to allow the jury to consider his beliefs that wages were not income and that he was not a taxpayer within the meaning of the law, even if those beliefs were not objectively reasonable. Cheek's conviction was therefore overturned. However, the Supreme Court pointed out that the more unreasonable an asserted belief is, the more likely a jury will not believe that they were honestly held. 4. You will be required to file a foreign bank account report (FBAR) on FinCEN Form 114. Whether or not you may have committed either civil or criminal tax fraud will depend upon whether the IRS can prove that you know you were required to file the various forms and that you were required to report the income in question. If a jury believes that you were unaware of the various forms that were needed to be filed, then willfulness does not exist. On the other hand, it would be difficult for the IRS to prove that you knew you had to report the income you transferred into your personal account on your income tax return. Still, depending upon a person's educational level and other factors, a jury might believe an assertion that, for example, you believed that income earned oversees was not taxable in the U.S.